Sometimes a marriage between two people is so significant that an entire community comes together to celebrate. Jon, a firefighter in Ohio, was diagnosed with leukemia a few months ago and it was unclear whether or not he would be able to make it to his wedding. Thanks to his brother's donation of bone marrow, Jon became a survivor who was more than ready to begin his happily ever after. 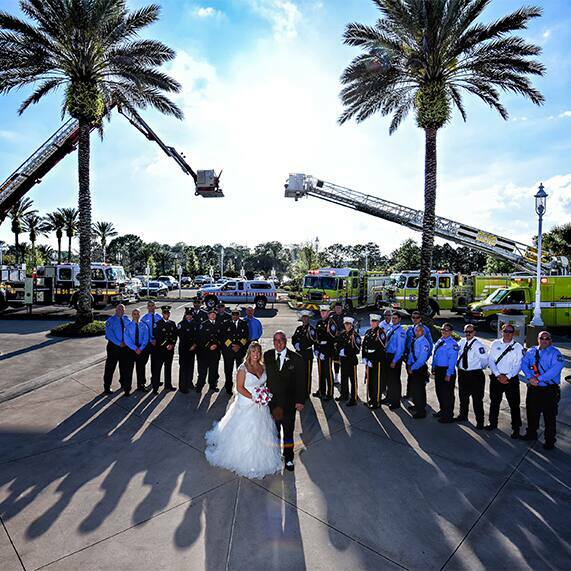 When Jon's fire chief found out that their Disney's Fairy Tale Wedding was still a reality, he sent an email to all the local fire departments in the area to come out and support Jon and Teresa. 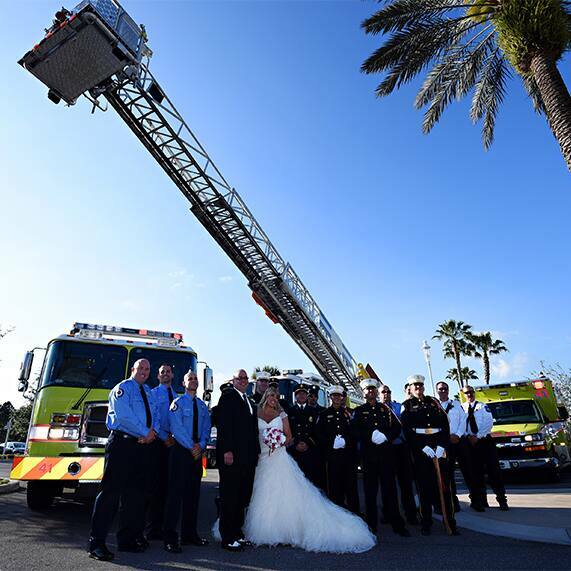 It was a complete surprise to the couple as they exited their ceremony to a salute of firefighters and a warm welcome of familiar trucks. The love surrounding Teresa and Jon on this special day was indescribable, and I can't wait to share more images of this amazing story with you! 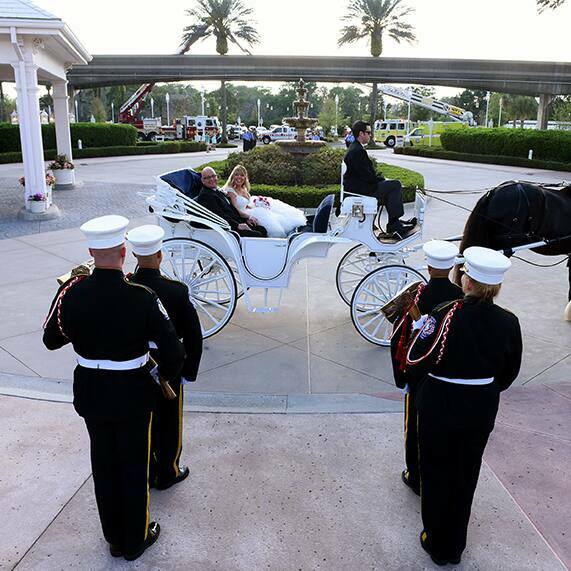 This has been the most amazing time of our lives, we can't even begin to describe the gratitude we have for the local fire departments and Disney Fairytale Weddings... We love you!